Hi everyone! I hope your week has been great so far! Today, I took my Friday post over to Happiness with a Side of Tea. 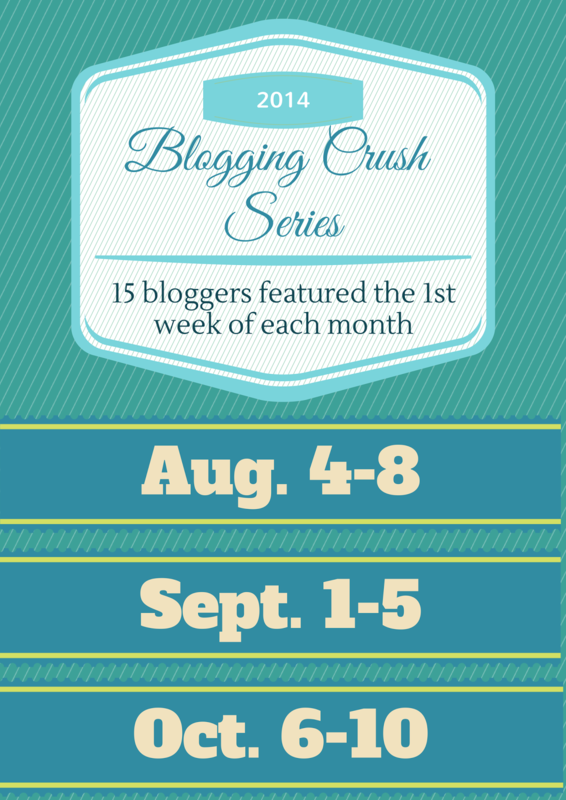 I am very excited that I get to participate in Jazmine's Blogging Crush Series! I appreciate Jazmine giving me a change to share some things about myself over on her blog. She asked me 20 random questions and I had a blast answering them. Some really made me think! So if you want to know a little more about me, things that I've never shared on here before, then head over! I'm the last blogger in the series which means there were many awesome bloggers before me. You can find all their previous posts at Happiness with a Side of Tea. I encourage you to check them out! 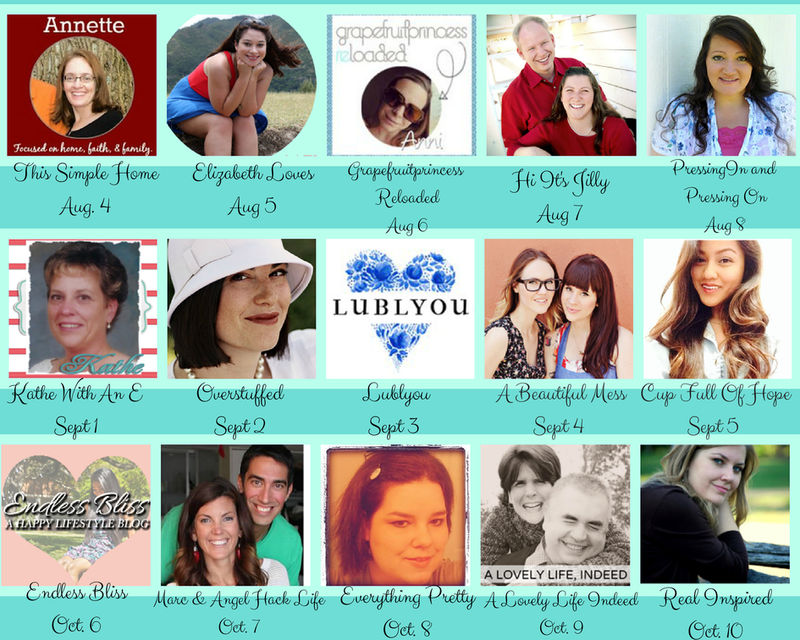 It's been wonderful getting to know some of these awesome bloggers and I know you will love them too!